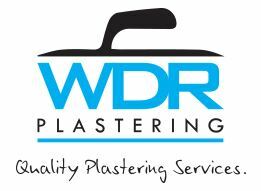 WDR Plastering Ltd - Builder, Plasterer based in Portsmouth, Hampshire. Hi my name is Wayne, I have over 20 years experience in the plastering and building trade. I went straight to college from school to achieve my City & Guilds level 2 in plastering. I have worked for various big plastering contractors and for the last 16 years I have been working for a plastering and building company. I am now starting my own business with a lot of knowledge and experience. I offer a fast and friendly service at a great price and I take great pride in what I do. We are now also spray plastering and spray colour rendering. And we also now offer a great building service and are happy to quote for all projects ie extensions and property maintenance. Chichester, Hampshire. Also cover West Sussex, Havant, including Bognor Regis, outhsea, Portsmouth, Southampton, Waterlooville, Worthing.